One of America's most beloved and fastest growing holidays is Halloween, and it is also the most demonized. Many of all ages, both young and old, celebrate it with innocence and a smile, yet some also condemn it with fury as an evil and violent day. The majority see Halloween as a fun children's holiday on which they dress up in costumes and go door to door to get candy, while others view it as a remnant of paganism and a subtle celebration of satanism. Amid this confusion and dichotomy, I will attempt to set the record straight in a short yet concise manner based on the most up-to-date studies, and examine whether or not the Church is called to demonize or sanctify Halloween based on the truth. Halloween originated as a medieval Christian celebration that was part of the Triduum of All Hallows, or Hallowmas (All Hallows Eve, All Hallows Day and All Souls Day lasting from October 31 - November 2), and in the 19th and 20th centuries it acquired Western European and North American cultural traditions that established it as an annual celebration of these societies. Hence, from this summary we learn of Halloween's Christian origins and its evolution as an annual cultural celebration. What we don't learn from this summary is the negative perspective of the holiday, which demonizes it and condemns it as pagan and satanic. The reason for this is that from a Christian perspective, there is no reason to demonize it nor condemn it as a pagan or satanic holiday. If we were to trace the origins of Halloween to one specific event in history, it would be when Pope Gregory III (731-741) dedicated an oratory in the original Saint Peter's Basilica of Rome in honor of all the Saints on November 1st, which initiated a local Roman custom to celebrate the feast of All Saints on November 1st. Before this time the feast of All Saints, also known as All Hallows, was celebrated throughout the Christian world since the fourth century to mainly commemorate all the Martyrs either in April or May, including Ireland. The Franks then the English were the first to follow Rome in celebrating the feast of All Saints on November 1st, and this became official under Pope Gregory VII in the early ninth century. 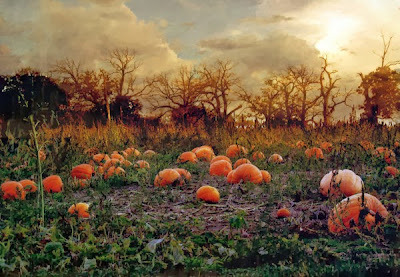 The word "Halloween" merely refers to October 31st being the day of All Hallows Eve, and later November 2nd also became part of the Triduum with the commemoration of All Souls Day on which prayers and philanthropic acts were done on behalf of the dead, which was also part of established Christian tradition since the early centuries. This may come as a shock to some who believe the myth that Halloween has its origins or is associated with paganism or satanism. The truth is that Halloween never was and never has been associated with paganism or satanism, though some pagans and satanists may embrace it as part of the melting pot we call America. Instead what we find is that the Church established Hallowmas as original holy days, not to sanctify an old pagan celebration among the Celts as has been popularly and falsely believed, but to celebrate an already well-established feast dedicated to all the Saints. Up until the 19th century, Halloween in Western Europe and America was a firmly Roman Catholic feast day that acquired and developed various cultural traditions, as all major holidays did at the time and still do. The mythology that Halloween had pagan origins prior to Christian times arose for the first time in the 19th century among Celtic scholars, who had their own personal agendas in falsifying history. They came up with the idea that October 31-November 2 were days when pagan Celtic peoples celebrated a feast of the dead known as Samhain, even though there is no historical record of such a feast among the ancient Celts. How did they come up with this? It was believed at the time that Christian feast days, such as Christmas and Easter, had pagan origins, and that the Church merely Christianized established pagan celebrations to win over converts. The way the Celtic scholars explained the origins for the feast of All Saints, which was popular among the Irish of the 19th century, was by tracing it back to the ancient Celts, without historical precedence. Though these false ideas are still popularly believed today, any honest historian can easily spot the agenda in these falsifications of history, and they have been firmly discredited. What about the connection with satanism? This first entered the popular American imagination in the 1960's through urban mythology created by conservative fundamentalist Christians. These fundamentalist Protestants, already opposed to the Roman Catholic feast of All Saints, sought to demonize the holiday by basing their research on 19th century Celtic scholars. Through them Samhain became a pagan god, an alternative name for Satan, and that practices like trick or treating were originally established out of fear to appease dead spirits, which were really demons. They would hysterically say: "Those who oppose Christ are known to organize on Halloween to observe satanic rituals, to cast spells, to oppose churches and families, to perform sacrilegious acts, and to even offer blood sacrifices to Satan." It didn't help at the time that through Hollywood, 19th century monsters like Dracula and Frankenstein from Gothic literature were gaining in popularity and they became established costumes for children. In the late 1960's Anton LaVey, the founder of existential Satanism and the Church of Satan in San Francisco, took advantage of this urban myth among fundamentalist Christians, whom he most wanted to provoke, and established Halloween as one of the three major holidays of the Church of Satan (along with the Satanist's own birthday, since LaVeyan Satanism is atheistic and about worship of one's self, and Walpurgisnacht on April 30, which was also promoted among fundamentalists as a "witch holiday"). This marketing maneuver by Anton LaVey was taken seriously by fundamentalists, who already feared the holiday, and fundamentalists began to take advantage of this new connection by eventually creating what has been called the "Satanic Panic" of the 1970's and 1980's. Urban myths about Halloween grew during this time to scare people away from celebrating Halloween, such as making up stories of crazed adults who sought to harm innocent trick or treaters by planting poison or razor blades in children's candy, and how pumpkins were carved to depict the facial expressions of the damned in hell. This fundamentalist literature, most popularly identified with people like Jack Chick, soon became the established opinion of just about every Christian Church in America, even among Roman Catholics who still celebrate Hallowmas between October 31 and November 2. Since the days of the so-called Satanic Panic, Christians have generally viewed Halloween as pagan and satanic. What this has done is basically handed over the holiday to take on more of a pagan and satanic character, which it did not generally have prior to this time. This is an unfortunate lesson in what happens when the Church demonizes rather than sanctifies. Christians opened the door to the devil, and the devil has taken every advantage. Christians can continue to associate Halloween with paganism and satanism if one's perspective of the holiday is to demonize it in such a way, or if they choose to limit their observations to certain disagreeable elements that certain people may take advantage of on Halloween, but essentially Halloween is not pagan or satanic unless one chooses to make it so. Unfortunately this myth continues to be perpetuated by many leaders of the Church, choosing against the narrow way of researching the truth and transforming our cultural heritage for the easier path of egotistical condemnation which only extends the kingdom of the devil. As mentioned earlier, many have tried to similarly paganize Christmas and Easter as well, creating a mythology that their origins are pagan and thus anti-christian. At the forefront of such movements are Neo-pagans and Protestant fundamentalists. They not only base this on the supposed origins of the holiday, but make observations of their modern secular celebration as being essentially pagan in nature, which is also largely a false myth. This iconoclastic attitude of fundamentalists creates mythology to provide a basis for the demonization of something that need not be demonized, and they base this on an inapplicable condemnation from Holy Scripture, and some even dare cite the Holy Fathers. In the past this used to be called a "hysteria", popularly associated with the Inquisition and witch hunts. Some people are not satisfied with the saying of the Apostle Paul, that our enemies are not flesh and blood, but invisible enemies. Moralistic Christians segregate themselves from people or things they choose to associate with evil, instead of embracing all people and transforming rather than condemning. Hysteria dictates that it is easier to demonize something we can see and to fight against that, rather than to fight against our internal temptations and passions and transform ourselves. While religious holidays in America tend to be personal or family holidays that are embraced at best by a small specific community, Halloween is one of few days open to the entire community, and its secular cultural purpose is meant to show good will among neighbors. The reason for this is because in the early 20th century, Halloween was still very much a Christian holiday, but it also became a day in which the melting pot of cultural traditions gathered to form a national family secular holiday. In the European Late Middle Ages it was a custom at Christmas and on All Souls Day for poor children to go door to door and beg for money and food. In 1605 Guy Fawkes' abortive effort to blow up the British Parliament on November 5th led to the creation of Guy Fawkes Day, which became associated with mischief and violence. In mid-19th century New York poor children called "ragamuffins" combined these two traditions and began dressing up in costumes and begging for pennies on Thanksgiving Day. A tradition of vandalism among youthful boys began to spread throughout the country at this time, and with urbanization and poverty on the rise in the early 20th century, communities came to realize they needed to contain the violence and vandalism. It was decided at this time, beginning in the 1920's and throughout the 1930's, to make Halloween a secular family celebration of good will. In the 1920's and 1930's, as Halloween became a secular celebration, it had little difference with Thanksgiving and the Fourth of July. People would gather in the town square and take part in a parade and play various games. Halloween also had some Victorian elements that were popular at the time, such as divination and spiritualism, which almost everyone throughout America, Europe and Russia experimented with at the time throughout the year, even respected Orthodox Christians like Dostoevsky. Slowly also the traditional British ghost story of Christmas Eve told before a fire, the most popular of which was Charles Dickens' A Christmas Carol, slowly transferred to Halloween. The plan seemed to work to change the autumn season from a time of vandalism and violence among youth, to a time of family, fun and games. In the late 1930's traditions such as trick or treating were established to ensure children would behave by being rewarded by neighbors with treats by dressing up in costumes and showing good behavior, rather than being mischievous tricksters who brought harm to the neighborhood. It was a clever distraction. With the rise in popularity and creativity of Comic Books and Horror Movies, these elements also became part of the costuming of children and adults alike. These elements also helped associate Halloween throughout the rest of the 20th century as a time of the macabre, though much less harmful than it was in the late 19th and early 20th century with the rise of violence and vandalism at that time. Only small elements of such mischievousness has survived in our times. Based on all this information, what should be the response of the Church today? Do we continue to demonize this holiday by way of influence from fundamentalist Protestants and Neo-pagans, or do we separate the agreeable and disagreeable elements, the honey and the hemlock, and allow it to be as it is? Like every holiday in America, Halloween certainly has many disagreeable elements, but is this enough justification to prevent children from dressing up in a costume and having innocent childish fun? I leave this up to the reader to decide based on an educated opinion of the facts. Just keep in mind the famous saying of philosopher Friedrich Nietzsche: "Whoever fights monsters should see to it that in the process he does not become a monster." My personal suggestion is for the Church in America to embrace Halloween as much as is permissible, like any other holiday. There are no rules how to celebrate Halloween, so any disagreeable element can be ruled out. One need not go to a psychic on Halloween or participate in any pagan ceremony. It is not a rule to take on a persona of evil or become over-sexualized, or to vandalize and attend drunken parties to have fun on Halloween. Halloween is about expressing one's self in whatever way one chooses, and costumes have come to reflect this. Christians, young and old alike, are not compelled to do what they don't want to do on Halloween if they want to have some participation in it. It is alright for Christians to go trick or treating and give out candy on Halloween, because such practices have no evil element. In fact, I would argue that it entirely falls in line with the Christian attitude of showing neighborly love and hospitality. All Christian homes should turn on their lights and welcome their neighbor's children on Halloween, and even more so should Christian churches. I've often thought that the darkest element of Halloween are those homes and churches that refuse to turn their lights on for trick or treaters. There is no need to hand out icons and have children light candles before icons to sanctify the holiday, because this is not only giving in to an element of fear, but it also can be perceived as rude by non-Orthodox Christians. What about the macabre element of Halloween today? The macabre element of Halloween, like many apparently disagreeable and dark elements of all holidays, is really just a matter of perspective and attitude. First of all, the macabre is a natural element of the autumn season. Not only are the nights getting longer, but the weather is getting colder and the trees are stripped bare of their leaves. The colors and fragrances of death surround the atmosphere, and all we tend to see are cloudy days with lots of oranges, browns and blacks. Secondly, Gothic fiction arose in the 18th and 19th century based on the stories surrounding medieval architecture and art, as well as old superstitions and tales. Horror stories from that time on have always had an atmospheric element that appeals to one's artistic sensibilities combined with imaginative fears. For people who enjoy horror stories and movies, this artistic and atmospheric element is realized tangibly at Halloween time not only through costumes, but in popular culture and especially the ever-popular haunted houses. These things are not created merely to scare people, but are more like museums of the macabre imagination based on old tales and fears. If these things are only created to scare without the artistic element, then they usually fail their purpose. Modern Halloween is basically defined by these two natural and fictional elements. St. Photios the Great, in his Myriobiblion, reviews a fiction story he read, in which he concludes the following regarding fiction stories: "In the story, particularly, as in fabulous fictions of the same kind, there are two considerations most useful to notice. The first is that they show that evildoers, even if they seem to escape a thousand times, always get their punishment; the second, that they show many innocents placed in great danger often saved against all hope." The fictional stories told around Halloween, the great majority of the time, contain these same elements St. Photios praises in his review. This is most especially evident in old Gothic tales, such as Mary Shelley's Frankenstein, Bram Stoker's Dracula and Robert Louis Stevenson's The Strange Case of Dr. Jekyll and Mr. Hyde, and even found quite often in modern horror fiction and movies. The famous horror director Guillermo del Toro says: "Monsters are living, breathing metaphors." Horror stories, like most fiction, are usually metaphors for something deeper that teaches us about ourselves, our environment or our situations of either the past, present or future. Noted horror author Stephen King has famously written: "Monsters are real, and ghosts are real too. They live inside us, and sometimes, they win.” He also wrote in his masterful survey of horror, Danse Macabre, that, "Traditional Horror has a morality that would make a Puritan preacher smile." Robert Louis Stevenson once wrote to a friend something similar about his story that is full of metaphors: "Jekyll is a dreadful thing, I own, but the only thing I feel dreadful about is this damned old business of the war in the members. This time it came out; I hope it will stay in, in future." The war against innate evil, says Stevenson, is more dreadful than his tale of horror. George Romero, the director of the highly metaphorical Night of the Living Dead and the creator of the modern Zombie phenomenon, has commented: "I also have always liked the monster within idea. I like the zombies being us. Zombies are the blue-collar monsters." The great silent horror actor Lon Chaney once said of the roles he played: "I wanted to remind people that the lowest types of humanity may have within them the capacity for supreme self-sacrifice. The dwarfed, misshapen beggar of the streets may have the noblest ideals. Most of my roles since The Hunchback of Notre Dame, such as The Phantom of the Opera, He Who Gets Slapped, The Unholy Three, etc., have carried the theme of self-sacrifice or renunciation. These are the stories which I wish to do." G.K. Chesterton defended the sensational novel as his favorite form of fictional tale, and in his essay "Fiction as Food" he wrote: "High or low, good or bad, clever or stupid, a moral story almost always meant a murderous story. For the old Greeks a moral play was one full of madness and slaying. For the great medievals a moral play was one which exhibited the dancing of the devil and the open jaws of hell. For the great Protestant moralists of the seventeenth and eighteenth centuries a moral story meant a story in which a parricide was struck by lightning or a boy was drowned for fishing on a Sunday. For the more rationalistic moralists of the eighteenth century, such as Hogarth, Richardson, and the author of Sandford and Merton, all agreed that shocking calamities could properly be indicated as the result of evil doing; that the more shocking those calamities were the more moral they were. It is only in our exhausted and agnostic age that the idea has been started that if one is moral one must not be melodramatic." Southern writer Flannery O'Connor once wrote that to reach the deaf sometimes you have to shout. Many horror and supernatural tales have the ability to shake us out of our materialistic and naturalistic stupor to help us look deeper within ourselves as well as what is beyond ourselves. The spiritual life revolves around how we respond to temptations and trials of all kinds, and horror and supernatural tales often compel us to think what our response would be in the face of evil, temptation and suffering. To conclude, Halloween is what we decide to make of it. Our decision is based on how we wish to perceive it and interpret it. This in itself is essentially a celebration of Halloween.